Now that I’ve officially given apples some love and now that it’s October, I think I can finally hop on the pumpkin baking bandwagon =). I realized I hadn’t used my doughnut pan in a while and debated for longer than I care to admit over what kind of doughnuts to make. I finally decided on pumpkin spice latte – sort of a spin off this cupcake. 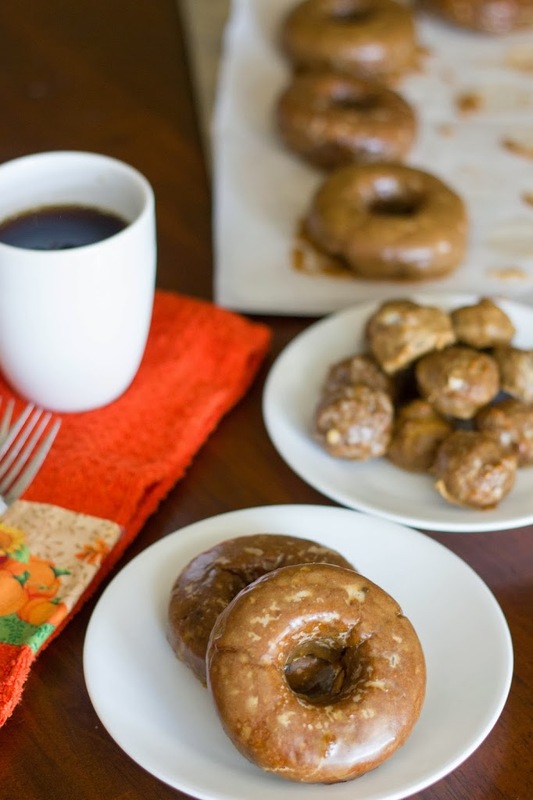 In all fairness, I’ve never had a pumpkin spice latte so I have no idea if these doughnuts taste anything like the original drink or not, but they were delicious either way! I don’t drink coffee but I do enjoy incorporating it into baked goods. You do taste a slight coffee taste with these doughnuts, but you can adjust the amount by the strength of the coffee you use. No doughnut pan? I baked about half mine in a miniature muffin tin and they turned out great too. Enjoy! 1. Preheat oven to 350 degrees. In large bowl, combine flour, baking powder, salt, pumpkin pie spice, and sugar. Whisk to combine. 2. In separate bowl, whisk together oil, egg, vanilla, pumpkin, and coffee. Add to dry ingredients and stir just until combined. 3. Divide batter among greased doughnut pan (or miniature muffin tin). Bake regular sized doughnut for 25 minutes and doughnut holes (miniature muffin tin) for 15 minutes or until lightly browned. 4. While doughnuts are baking, whisk together icing ingredients. 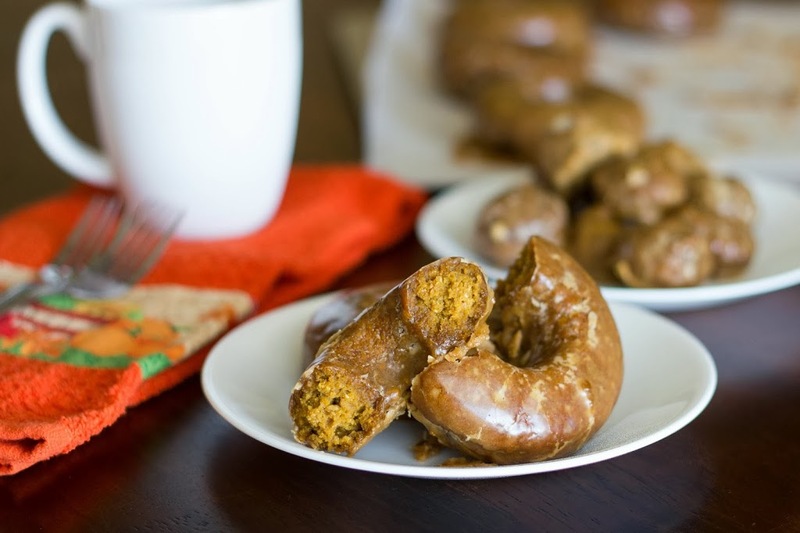 Dip doughnuts into glaze while still warm and place on parchment or wax paper to cool. Makes 6 large doughnuts and 16 doughnut holes.